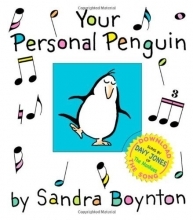 The irrepressible, ever-original Sandra Boynton introduces a brand new Boynton board book. 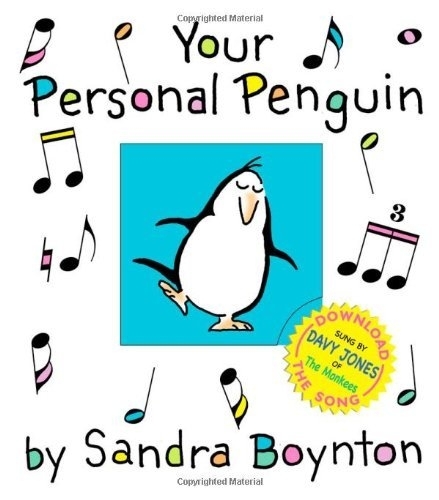 Your Personal Penguin is a read-aloud, listen-along favorite for young children and the grown-ups who read to them. Fun to hold, the book tells the story of a slightly bewildered hippo and the loyal penguin who wants nothing more than to be his pal: Now, lots of other penguins seem to be fine in a universe of nothing but ice. But if I could be yours, and you could be mine, Our cozy little world would be twice as nice. I want to be Your Personal Penguin.